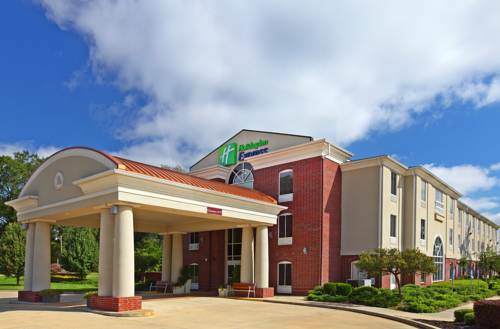 Welcome to our Minden, Louisiana HotelThe Holiday Inn Express hotel in Minden, Louisiana is located just minutes from historic, downtown Minden and is only 35 miles from Shreveport Regional Airport (SHV).Let us be the headquarters for your next business trip to Minden. Our hotel offers easy access to area companies, including Clement Industries, Fibrebond, Inland Container, Marathon Oil and the Minden Medical Center. If you need to host a meeting during your stay, we offer a 660-sq ft conference room with a seating capacity of 40. Our 24-hour Business Center with copy and fax services can help you prepare the perfect presentation.Families lodging in our Minden, LA hotel on vacation enjoy a prime location near top area attractions. We're close to historic downtown Minden and the Germantown Colony and Museum. You'll love the recreation opportunities at the Minden Recreation Complex and area lakes and parks, including Lake Bistineau State Park, Bayou Dorcheat and the Caney Lakes Recreation Area.We're here to make your trip a success, so whether business or leisure brings you to Minden, LA, our hotel offers you the quality amenities that help you feel at home. We provide hotel-wide free high-speed Internet access, a complimentary hot breakfast bar, a seasonal outdoor pool and a spacious wooden deck shaded by oak trees. For the best stay in Minden, lodging at the Holiday Inn Express hotel is the right choice! Several quaint shops, antiques, and restaurants. The 18-hole "Grove" course at the Grove Golf Club facility in Minden, Louisiana features 6,432 yards of golf from the longest tees for a par of 72 . The course rating is 70.0 and it has a slope rating of 113. The golf course opened in 2003.